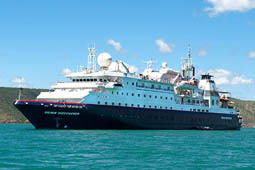 You're in a truly exclusive club aboard the Silver Discoverer, an all-inclusive oasis of luxury. Hosting at most 120 guests, this mega yacht can whisk you away to more intimate ports than standard cruise ships and superliners. 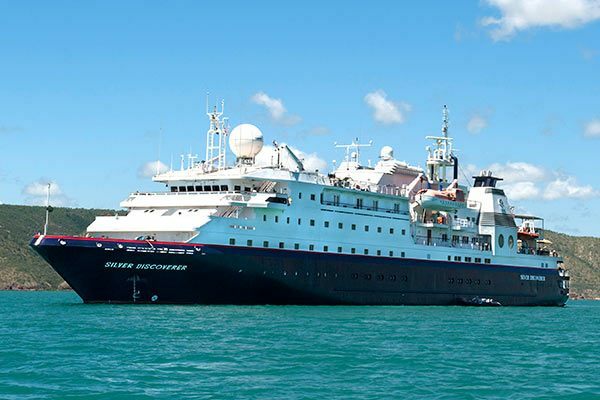 There's almost a crewmember for every guest aboard Silver Discoverer, so everything you want will be taken care of in no time. Every stateroom is a suite. 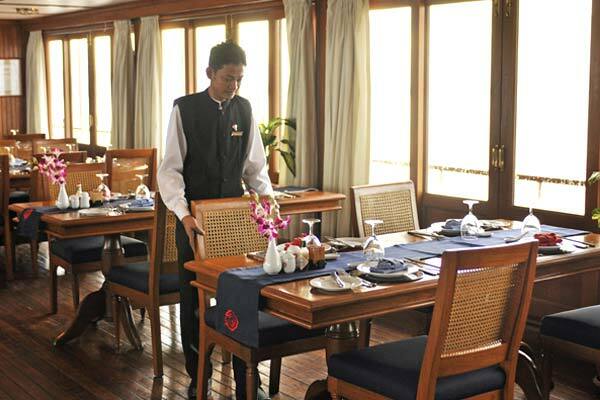 Butler service and ocean views come standard, and most accommodations also boast a verandah. 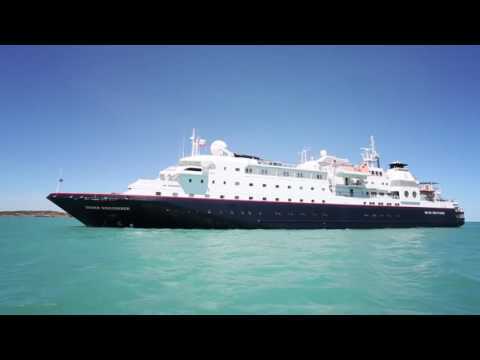 You'll never forget the cuisine and recreation aboard the Silver Discoverer. 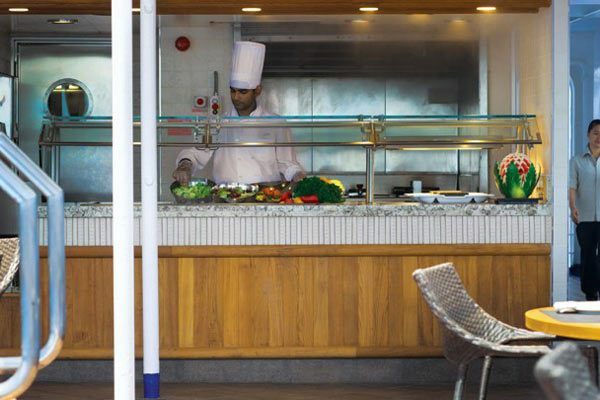 Savor specialty dishes in the Restaurant, the Grill, and Discoverer Lounge. Soak up the amazing views and soothing waters of the outdoor pool and whirlpools. 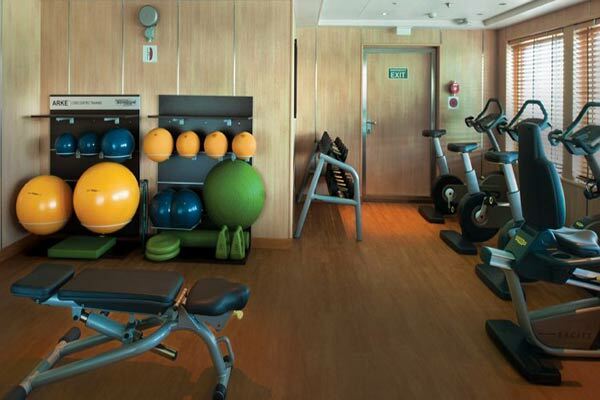 Keep your workout routine in the fitness center, which also offers a variety of classes. 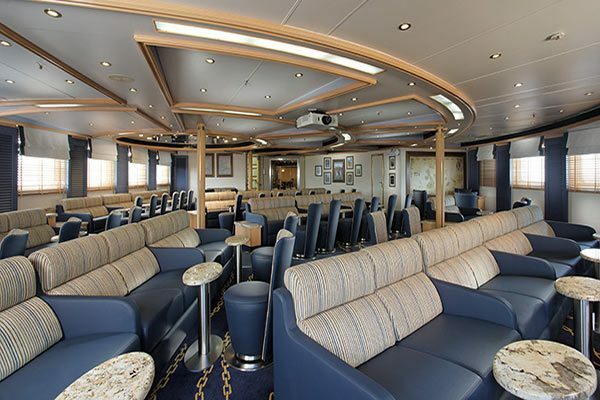 Spruce up in the salon, then mix and mingle or catch a riveting lecture in Explorer Lounge. The Restaurant serves contemporary, international cuisine, with sophisticated elegance and impeccable service. Menus feature local specialties unique to the voyage destination. The Restaurant offers open-seating dining, which means there are no assigned times or assigned tables. You are free to dine when, where, and with whom you please. Poolside convenience for breakfast and lunch, including fresh-from-the-oven pizza and lighter fare. 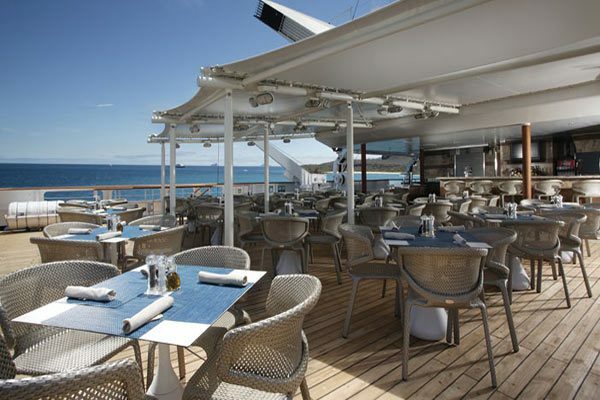 When the stars come out, this popular eatery is transformed into an interactive dining venue where fresh seafood and prime cuts are grilled table side on a heated volcanic rock plate. You can have breakfast delivered to your suite or a formal dinner ordered from The Restaurant menu. Lighter fare is always available from the room service menu from 6am to 11pm. 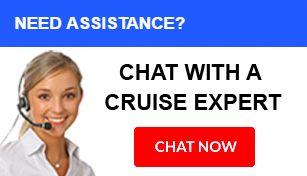 It does not include travel protection, shore excursions, personal expenses or wifi. 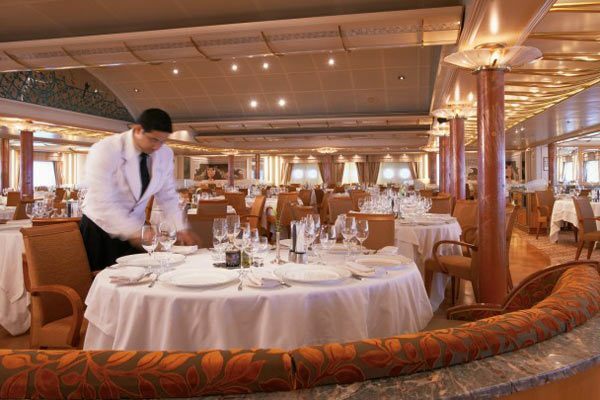 The moment you step onboard a Silversea Cruise Ship, your every need is handled. Silversea’s ultra-luxury small ships offer all-suite, all-oceanview accommodations with 89 percent of suites have private verandas. 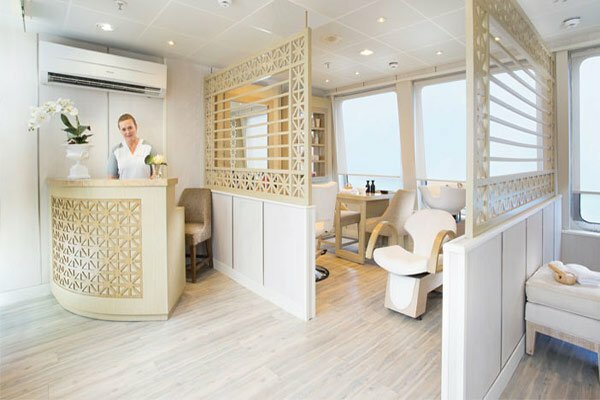 While on board you will sleep in lavish suites, experience the finest food, enjoy extensive onboard enrichment, and receive the highest level of personal attention. 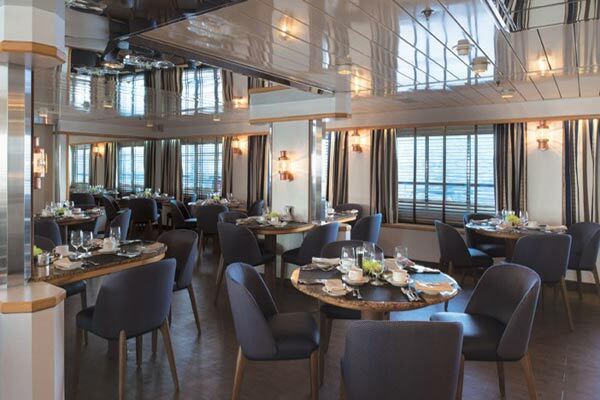 Complimentary beverages including an extensive selection of fine wines, champagnes, spirits, bottled water and soft drinks are yours to enjoy throughout the ship. In-Suite Beverage Cabinet stocked with your preferred assortment of complimentary beverages. Exclusive Offer: Up to $1,500 to Spend Onboard! 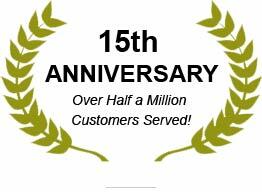 Book today & we will give you up to $1,500 to spend on board!